Many people are at the same time the pet lovers and sailing lovers. 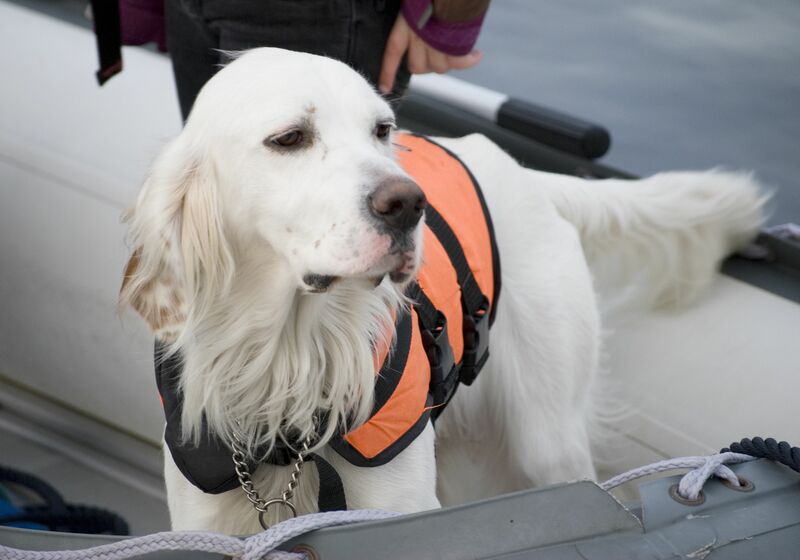 When it comes to pets on board, dogs would be the most often pet sailing with their owners. Most people who have cats usually leave their pets to their relatives or at a pet hotel when traveling. Parrots onboard mostly belong to romantic pirate stories and are not very often seen on a sailing yacht. Since there is no unique regulation on pets onboard, first contact your charter agency on their own pet regulations. Some agencies would charge you extra for pets (dogs) onboard, while some of them ban pets onboard for some reason. However, when you decide to take your dog on a sailing trip it is recommended to install a safety net along the sides of the yacht. Every charter agency should provide it to you since the same safety nets are used when small children are aboard. It is also recommended to plan shorter legs of your sailing trips since every dog needs its time on the mainland. Furthermore, keep in mind to always have enough drinking water not only to give to drink to your four-legged friend but also to wash the seawater from its fur. When swimming with your pet, keep in mind to avoid very crowded bays because some of your neighbors could protest about dogs and sometimes would not be tolerant to your pet. In addition, make sure that you have taken enough pet-food because it is not available at every place on your sailing trip. 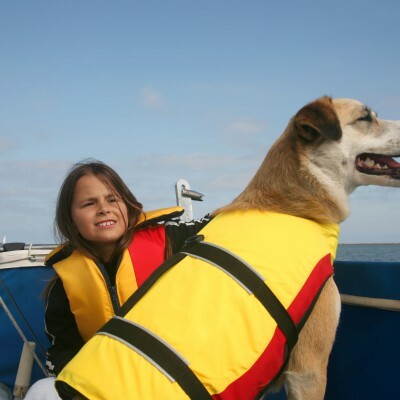 There is also safety gear for dogs (life vests) but you should contact your pet-shop for it because I am pretty sure that they are not usually available at charter agencies. 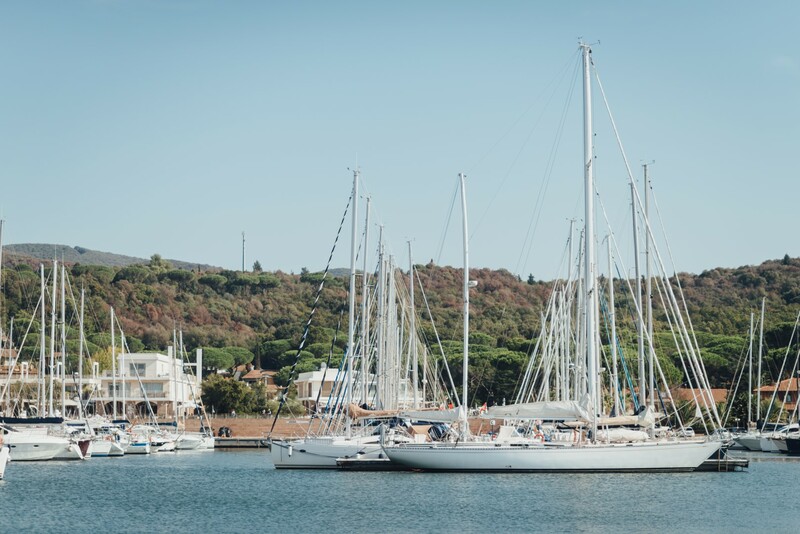 Last but not least, you should consider taking the outboard engine for the tender to make it easier to take your pet to the mainland when anchoring or during your stay on the buoy. Your pet should enjoy the sailing trip at least as much as you, after all. P.S. If you are looking for more yacht charter advice find it in the section How to charter yachts of our A Yacht Charter Group site.